Then comes the million-dollar question: How can I increase blog traffic? 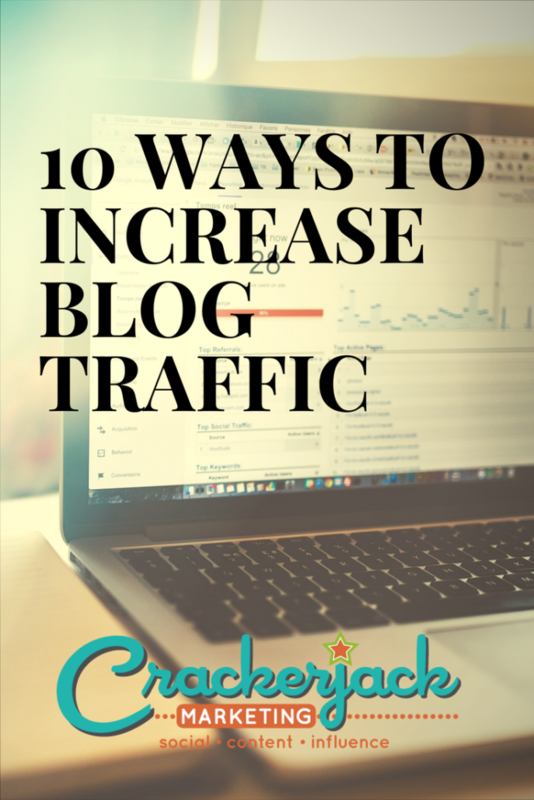 If you’ve got your system down and producing a steady stream of content, take note of these ten things you can do to increase blog traffic, up your game and get more from your content marketing efforts. An interesting graphic or video encourages blog readers to share. And this, of course, is what you want. 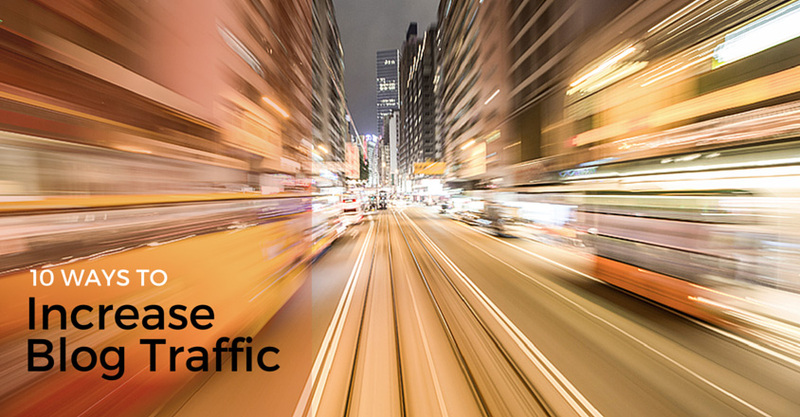 The more your readers share, the more traffic you can expect. Some good ideas include infographics that provide valuable information and appeal to the eye. A well-crafted, visually appealing video may stimulate your readers to share as well. Creating those how-to posts? Mark each step with clear, helpful photos. Without question, visual content is king online. Still not convinced? Here are 37 reasons why you should be incorporating visual content where you can (including your blog!). Instead of waiting for your audience to come looking for you, go ahead and go to it. Seek out online communities in which your audience gathers. Once you find a few that are very active, don’t commit the sin of drive-by posting or link dropping. Instead, become an active participant. Start and join real conversations. Show interest and provide valuable information. Leave your links as allowed by the online community. Include links to relevant information (available on your blog) when it pertains to the discussion at hand and will provide real value to the community. Many communities also allow a signature link, and you can usually provide information about your blog in your profile. Simply put, you have to be social, so kick your inner introvert to the curb for a bit. Social bookmarking is more than just a good excuse to indulge your OCD tendencies. It’s also an avenue to engaging your audience, building your network and sharing your content. How does it work? Essentially, you use social bookmarking sites to organize and share links you consider valuable. Here are some suggestions, just to get you started: Digg, StumbleUpon, Pinterest, and Reddit. You benefit from the social bookmarking website’s credibility. A link from a social website can significantly help your search engine ranking. When your content is bookmarked and shared, you get a boost in credibility, which can draw more customers to your business. Building an image as an industry leader is a good thing. Put all your good stuff in one place. All those awesome reviews and testimonials you get? Make sure interested parties can find them via your social bookmarking site profile. This way, anyone looking can easily find all the reasons you’re so great. One more thing, and this is important: Always read the rules of the site before you post, and avoid behavior that marks you a spammer. Share other people’s stuff, not just your own, and be social! Finally, keep in mind that it’s even better when others bookmark your content; add social sharing buttons to your blog to make it easy for readers to do so. Who cares what you have to say? The people asking questions, that’s who. A high-quality question-and-answer site may have a large audience interested in the types of answers you can provide. Answering their questions in an engaging and interesting manner can help you establish yourself as an expert in your field. 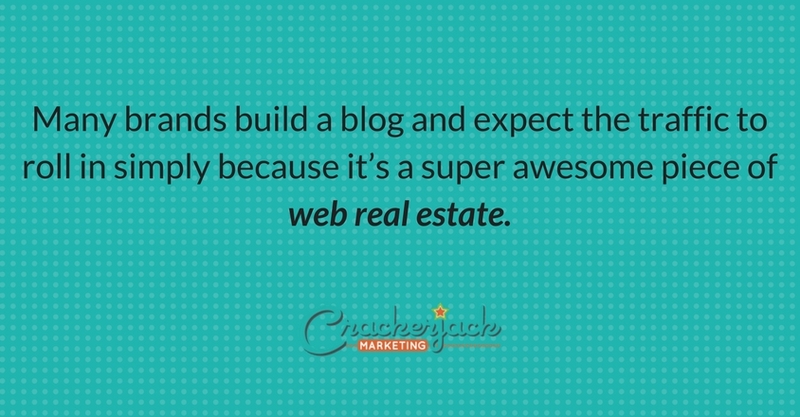 You’ll also get to insert links that draw traffic to your blog. Creating content for a website that is not your own may seem like a counter-intuitive method to increase blog traffic, but it really can work! How? You write an interesting, compelling post relevant to your business and the particular blog. The blog owner posts it and you get to include your bio and a link back to your site, maybe even a line or two about your business. Tip: Make your links count. Link back to a page (yes, one on your blog) that provides more information about the topic you covered, answers burning questions your reader is sure to have or gives something away for free. Read this post to get all the details on how to get the most out of guest blogging. One easy tactic to increase blog traffic is to use your content to create presentations on LinkedIn Slideshare. The site has more than 60 million users and is widely used within the business community. To use it effectively, you need to marry the best points from your content, with stunning design and the right tags. If you get it right, your presentation could be featured by Slideshare, which will bring a lot of people back to your blog. Learn more about using the site effectively from this Kissmetrics guide to Slideshare. It’s also simple to use your blog to create a book or eBook. Spend some time up front thinking about a topic you want to cover in depth, then make each sub-topic an individual post. Not only will you get feedback as a you go (blog comments and social shares can tell you a lot about how people will respond to the content) but you’ll only need to add an introduction and conclusion to finalize your book. Invest in professional editing so that the book of your blog reads like a book instead of a loose collection of posts. Then publish it everywhere, including Amazon, iBooks, and Smashwords. Get it right and you could reach an audience who might never have seen your blog. Did you know that Amazon has a tool called Kindle Publishing for Blogs? It’s been around for a while, though it’s still in beta. Add your blog’s RSS feed and a title image and then Kindle users can subscribe to it via Amazon. In our experiences, this won’t net you a huge audience, but it will reach the people who do all their reading on Kindle. If your blog content includes stats, then you have the basis for a compelling infographic. This strategy will work best if you do a lot of research. Well researched and attractive infographics are immensely popular. It’s another way to repurpose blog content and reach a wider audience. While you’re pulling data from your blog post, consider two more options for reusing the content. Many people love to consume content on the go and would rather listen than read. For those people, a podcast version of your blog content is ideal. And then there are the people who love watching videos (such as mobile device users). Convert your post to a short video and you’ll get more attention. These tips will help increase blog traffic and get more eyes on the content you originally created for your blog. As a result, your company can reap the benefits of more attention, more leads and more sales.